We are agile. We are CSM. Meet Project Manager Nicolas Pensis. In this article Nicolas Pensis, a Project Manager at CSM Belgium, shares the impact being agile has on his role managing clinical supply projects directly with our customers and how they benefit. 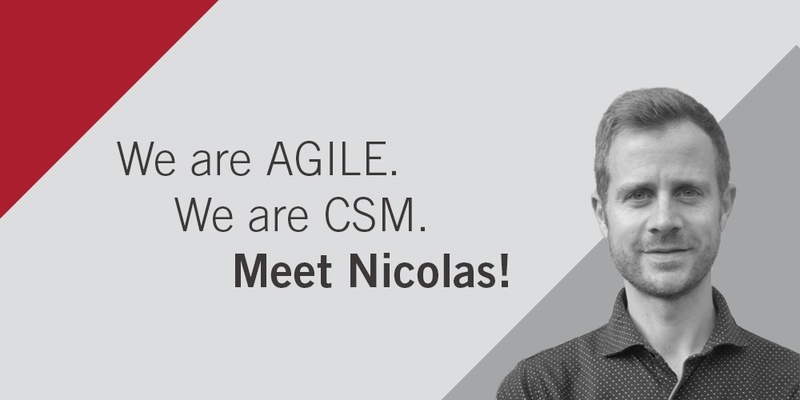 Nicolas joined B&C Group, now CSM, in 2013. Nicolas, what does being agile mean in your daily work? At CSM, our goal is to deliver ‘best in class’ value to our clients. We build strong relationships with pharmaceutical companies to help them achieve their clinical trial goals. Proposing innovative packaging and labeling solutions or looking for alternatives that meet budget or time constraints requires being agile and creative. It’s challenging but also very rewarding, and it makes my job different every day. How do you handle customer challenges? Building strong relationships internally is crucial to providing our customers the value they need and expect. A good connection between different departments ensures that everyone is committed to delivering the best solutions, which is especially important when dealing with complex situations. Good communication and support from the teams is essential to successfully achieve our customers’ goals. As a music lover I like to compare this with a musical score that needs to be played efficiently by everyone to sound its best. It helps to be part of an organization that is not too small to provide global support, and not too large to give every trial personal attention. How do your clients benefit from CSM being agile? We are constantly adapting, adjusting and innovating, which is key in clinical trial supply management. In one case, double blind kits needed to be produced On-Demand for a multi-country study. The kit number, composition and destination country were only known when a patient visit was confirmed. Patient kits had to be produced (including assembly and filling of the kit, printing of labels and labeling), shipped and received on site within 10 working days in appropriate 2-8°C temperature conditions. The flexibility we demonstrated in order to achieve production of the customized kit and delivery to the site within the requested time frame was essential for our client –without it the clinical trial would have failed. Our 100% focus on clinical trials allows us to have less bureaucracy and makes decision making much faster within CSM than other service providers. What keeps you motivated every day? Working for CSM and clinical trials goes beyond satisfying our customer. Making sure that patients get their medication on time and in good condition is the real motivation. We all know someone who has had to fight a serious disease or someone who unfortunately could not find a suitable or efficient treatment. We play an important role in the lives of patients: it’s a contribution that is as precious as life itself. How can our agile and innovative solutions like On-Demand and Direct-to-Patient help your trial? Schedule your 20-minute, no-cost consultation with a clinical supplies services expert at CSM. Interested in working in a dynamic and collaborative environment and making a difference in people’s lives? Submit your resume and join our team.